HEALTH WARNING: A rebreather is a serious and sophisticated life support device which is perfectly capable of killing you without warning. Always know your ppO2. Messing around with caustic and oxidising materials is dangerous. Reliance on one of these devices to keep you alive is foolhardly - but great fun! WEALTH WARNING: Making your own rebreather may not be as cost-effective as it may first appear. In the long term, the money spent on buying small components can become significant. Add the amount of time spent on making and testing it, and you might be better off buying or modifying a commercial unit. Homebrew rebreather's (whilst not for the fainthearted) can, however, be a rewarding form of "adult entertainment"! The P1SS™ rebreather, a simple and cheap closed-circuit O2 pendulum rebreather using an old horsecollar bouyancy compensator (ABLJ), a bit of gas pipe and a modified power inflator. 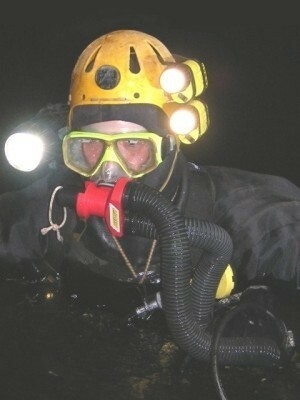 Although limited to 6 m depth the P1SS™ has done useful service as decompression tool where an oxygen rebreather can make economic (as well as logistical) sense. 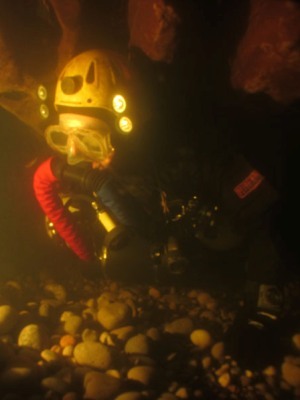 "Doctor Duncan's Dodgy Diving Device" or the D5 is a closed circuit mixed gas rebreather with which can be worn sidemounted for cave diving in the U.K. and abroad. The D5 features mechanically metered oxygen addition with electronic monitoring of ppO2 and has been used for 3 hr dives and to over 65 m depth. 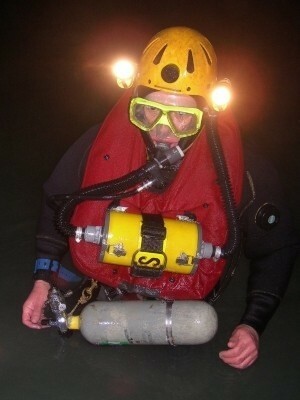 "Doctor Duncan's Decidedly Dodgy Diving Device" or the D6 is a closed circuit mixed gas rebreather with which can be worn on the diver's chest over a standard sidemount configuration. Please contact me if you have any questions, comments or suggestions.